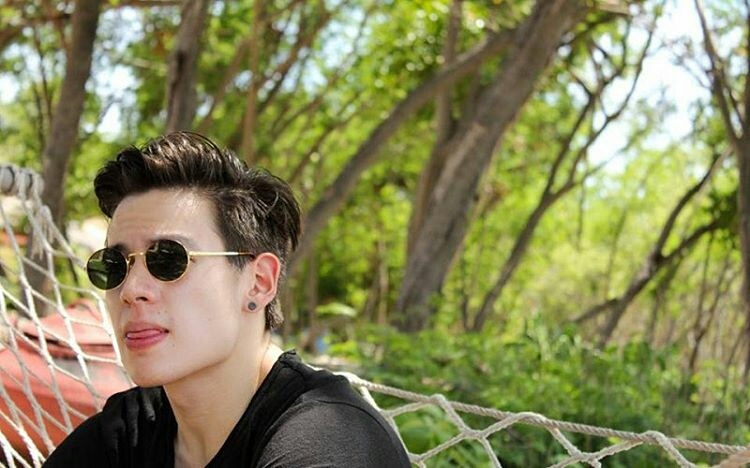 If you’re like us, social media buffs, you may have followed unoemilio, aka Jake Ejercito on the socials. Even more so, if you are a KalyeSerye fanatic. Ever since his appearance in the much celebrated noontime segment, Jake is becoming more popular. And with all the good reasons – for being beautiful inside and out. With such a lovely and generous personality, he easily can connect to every soul from all walks of life. But like they say, being popular has a cost. And so his ever growing fan base also welcomes a surge of bashers and haters. His tweets for instance have been criticized for being too “ma-koda”. But haters probably just don’t get it that a guy like Jake is smart that is why his fans love his daily dose of tweets that contain intelligent quotes, critical thoughts and smart posts, not the typical narcissistic social media contents. His blog site is also one favorite of his unoemilio.com. He was recently in the cover of a magazine, one of the many signs this guy is truly blessed, and he is definitely in his peak.